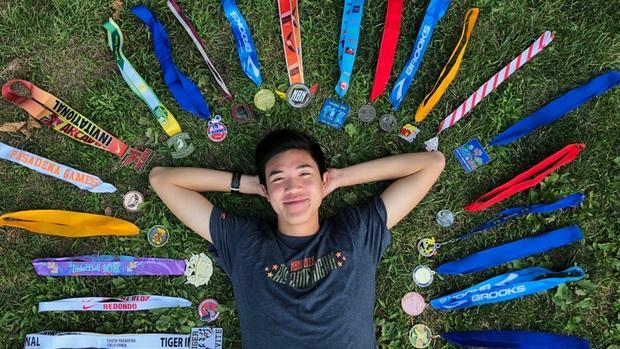 Corey Kumamoto is heading into his first year at the College of the Holy Cross in Worcester, Massachusetts, where he will also compete on the school's Division I cross country team. 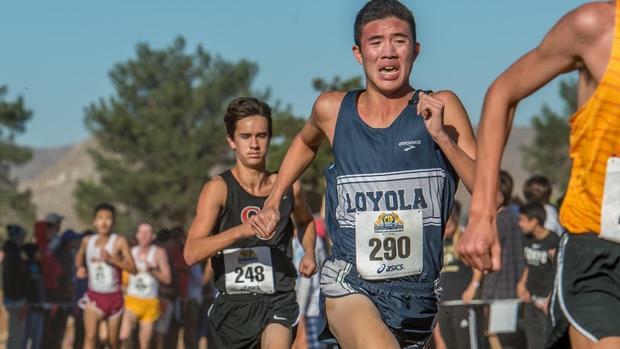 But before he begins a new chapter in his running career, the Loyola (CA) High School graduate wants to close his first, and below, he's penned a letter to running while reflecting on his experience living, training, and competing in California. Among my family, friends, classmates, and teachers, this much is true: You've been a significant part of my life, a real game-changer. A part of me wants to express my gratitude in some small way, considering the distance it has taken me. Literally. As I write this, I'm preparing for my freshman year at the College of the Holy Cross in Worcester, Massachusetts, roughly 3,000 miles away from my alma mater, Loyola High School, and my hometown of Los Angeles. There's no way I could have predicted this four years ago, before one mile became five, before one race became became 10, and before a simple sport became a true passion. Before I found you, I was characterized as the "fast kid" by my baseball and soccer coaches. But little did I know how that would all change. After my first track and cross country practice in middle school, I found a passion with you that has taken me through high school and will continue into college at the Division I level. Without a doubt, you shaped me into the person I am today. You got me there not only by keeping me physically fit, but by also teaching and instilling in me important lessons in life that apply both on and off the track. "You taught me how to be a leader. I learned how to hold the team accountable in practice, races, and in the classroom. As a junior and senior, I became not only a co-captain, but a secondary coach for the guys to look up to." As a student-athlete with 11 workouts a week at Loyola, you taught me to be organized and emphasized time management. Waking up at 5:30 a.m. for practice every morning? It wasn't an easy task, if only because it was never the last one of the day. Practices after school usually dragged on into the late afternoon. However, as I matured over the years, I realized that consistent routine--wake up, go to practice, go to school, practice again, go to sleep, repeat--created lifelong habits that stuck and made me into the complete student-athlete I am today. But it wasn't only that. You taught me how to be a leader. I learned how to hold the team accountable in practice, races, and in the classroom. As a junior and senior, I became not only a co-captain, but a secondary coach for the guys to look up to. You helped me keep the guys in check during cemetery loops across the street from school, between Venice and Washington Boulevards, or on long runs down Pico in the heart of downtown Los Angeles. Your weekly check-ups on Saturday mornings, whether it was during the track season at Arcadia or in cross country at Mt. Carmel, showed us where we were at and what we needed to work on individually, and as group. With a strong varsity cross country team--in which the top 12 could all run under 16 minutes for three miles--you kept me focused and competitive on the task at hand. We knew there was no time to take it easy when we went up against Great Oak, Dana Hills, and Claremont. It was postseason or bust, and I wanted to be in that top seven! You helped the team compete against each other, and you pushed us to our limits my sophomore year when we won a Division 2 title, and again when we were a runner-up my junior season and then again when we were fourth-place in 2017. The last and most important lesson you taught me? It might sound cheesy, but it was the value of friendship. If you would have asked me four years ago today, as an incoming freshman, whether I would have made my best friends, gained a second family, and forged forward with this sport in college ...I don't know if I would have believed you. Through great times and difficult moments, I've had the some of the best teammates, specifically fellow seniors Shane Bissell, Brandon Cobian, Liam Jamieson, David McAndrews and Joshua Ma, who are all going on to run in college as well. And then there's Loyola. 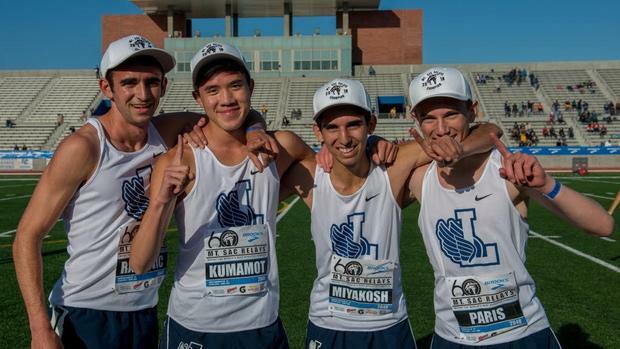 I was intimidated heading into such a successful and competitive program, led by Coach Diaz, whose stories about past runners, such as Elias Gedyon (4-flat for 1600m) and Mark Matusak (8:48 for 3200m), made you feel like you were in over your head. Yet, you kept me determined to keep training, from the beginning to the end. And hey, we didn't do too bad, either! With a school record in the 4x800 at New Balance Nationals, a state title, and eight strong seasons in the program, I left high school knowing I did all that I could. I think I can say without doubt, running at Loyola was the best decision I ever made.